I have recently updated the system due to my browser (And a few others) not being able to see half the forum, this is deffinately a glitch in the Forumotion system. Wanna advertise without using money? Post userbars, banners, avatars, etc. for Balto4me! Leaving on a trip? Going somewhere? Post it here! Do you know something that could improve the site? Share your opinions here! Are you a new member? You can introduce yourself here. This is optional, but it is nice to know our members. Is something bothering you? Do you think there is a bug? Please share what is wrong here! Have any news we didn't share? Post here. Put the images YOU drew yourself here. Put your fan fictions here! Put fan images here that you fixed yourself. If you want to post something that doesn't fit in any other category, post it here. 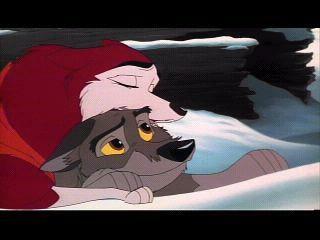 Here you can role play about Balto related subjects only. Here is where you can private roleplay about Balto related subjects only. Here is where you post other related roleplaying. Here is the other private roleplaying section. Do you play an instrument? Is there a certain band you like? Share your musical opinions here. Have a favorite video? Post it here! Is there a certain animal you love or hate? Share it here! Share your favorite sport here! Do you have a favorite program or movie? Share it here! Share your favorite readings here! Do you have a favorite game to play? Is there a cool video game you'd like to share? Post it here! Here is where you can post Forum Games! Do you have a favorite site? Do you want others to know about your site? Post it here! Post Balto related contests here! Here is where you can post other related contests. Here you can share Balto related projects. Here's the place to post other related projects.